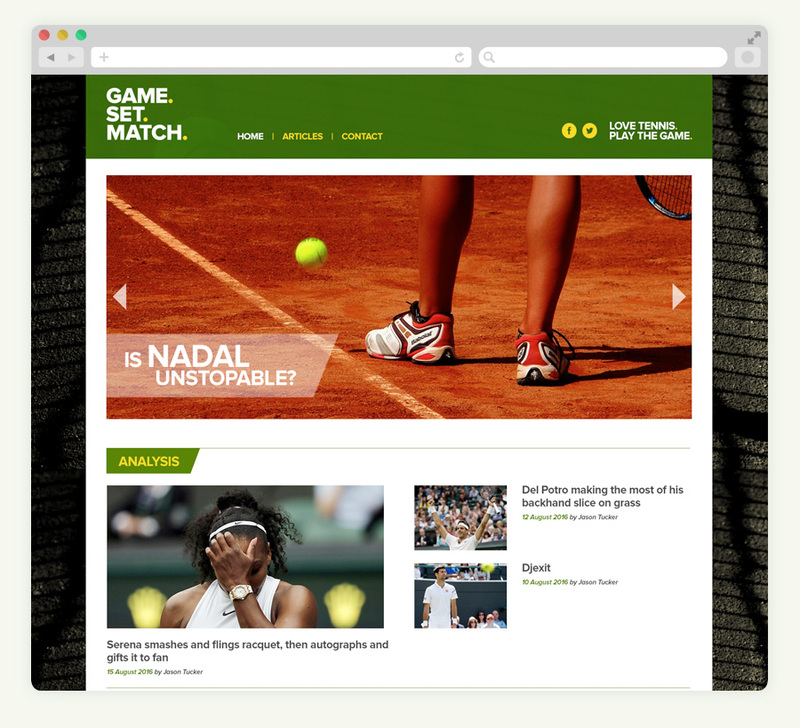 Game Set Match is a new tennis blog aiming to give the lowdown on this much loved sport. Outlining tennis player news, player match fitness, upcoming tournaments and match commentary, we created a logo design and user interface design. The ball graphic from this wordmark logo design is used in other key copy such as the strapline “Love tennis. Play the game.” to reinforce brand consistency. A simple to navigate and image led layout was created for the user interface design.